In this workshop, Elizabeth ,,Stewart, will introduce participants to PSYCH-K. She will walk us through the many ways this simple and powerful energy modality may benefit you in your life. 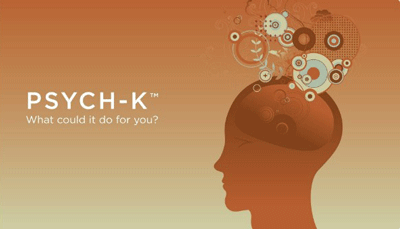 Spoiler alert: PSYCH-K has been proven to transform stress, fear, depression, disease, allergies, and so much more! Have you ever consciously sabotaged your efforts towards a goal and you just don’t know why or how to break that pattern? How are your new year’s resolutions coming along? Do you keep the promises you make to yourself? Do you feel worthy of your goals? Are you happy and satisfied with your life (relationships, money, career, health, body image)? This 6-minute video with Dr. Bruce Lipton, author of The Biology of Belief, and PSYCH-K originator, Rob Williams, gives a taste of what’s to come. In this workshop, there will be a demonstrations so that audience volunteers may experience a PSYCH-K “balance”. Testimonials can be found at http://www.GuidedAlignment.com and https://psych-k.com/testimonials/. Please note: This is an intro workshop, not a training on how to facilitate PSYCH-K with yourself or others. Using PSYCH-K requires a trained facilitator. If you find this workshop useful, we’ll be providing information about where you can learn how to “balance” for yourself (as Elizabeth did). Should you choose to book at private session with Elizabeth, we will apply this workshop fee to that cost. Pre-Registration is required. Click HERE to reserve your spot! If you are not yet familiar with Dr. Bruce Lipton’s work, these are links to his full talk on The Biology of Belief – 3 hours in total.